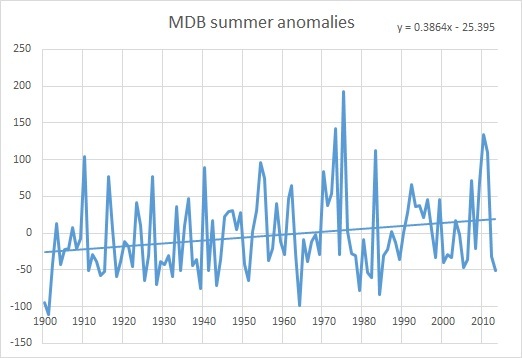 Last night on the 7.00 p.m. ABC TV Queensland news there was a report on the Annual Climate Statement 2014 released by the Bureau of Meteorology yesterday (January 6). I could not believe my ears, and as soon as it was on iview ( http://iview.abc.net.au/programs/abc-news-qld/NC1530Q005S00 ) I checked- several times. 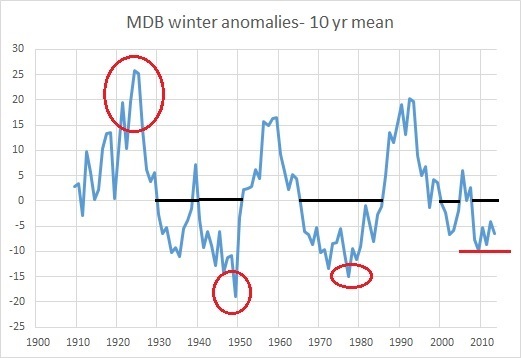 The reader, Matt Wordsworth, clearly reports that the Bureau says Queensland has experienced “the worst drought in 80 years”. The Bureau’s Jeff Sabburg was interviewed and claimed that 37.3% of the state was covered by the lowest rainfall on record. 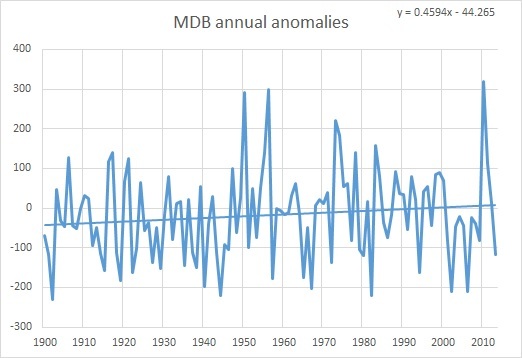 Now I do know that much of Queensland has been very dry for a long time, with the northwest being especially bad, having missed two wet seasons (2012-13 and 2013-14). Before you think I am callous, uncaring, and uninformed, I should let you know I was raised on a farm, my parents, grandparents, and great-grandparents were farmers, my brother and my brother-in-law are farmers, and I take a very keen interest in the land. However, both the ABC news item and Jeff Sabburg’s claim, if quoted correctly, are complete nonsense. Nothing like 37% of the State has had the lowest rainfall on record, and the drought is definitely not “the worst … in 80 years”. 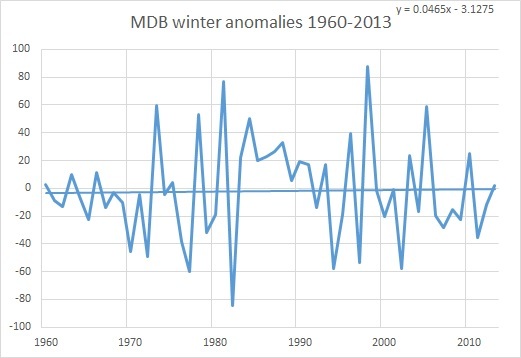 The facts from the Bureau’s own websites (Climate Maps and Climate Change and Variability) show otherwise. There follows a series of graphics clearly showing the state of Queensland’s rainfall and drought record. Obviously recent rain has improved the situation, but what about over the last two years? A-hah, that’s showing quite a lot of serious and severe rainfall deficiency, but not a lot of “lowest on record”. However, compare that with the 24 month period to December 2003. 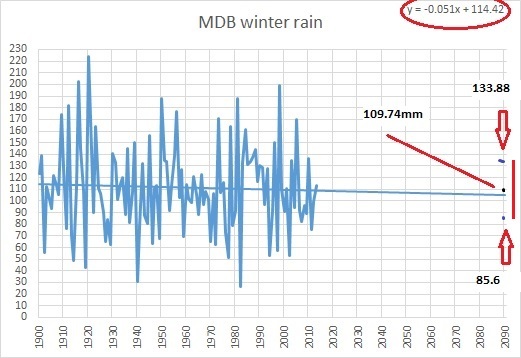 I have been looking at Queensland rainfall closely in the past couple of weeks. 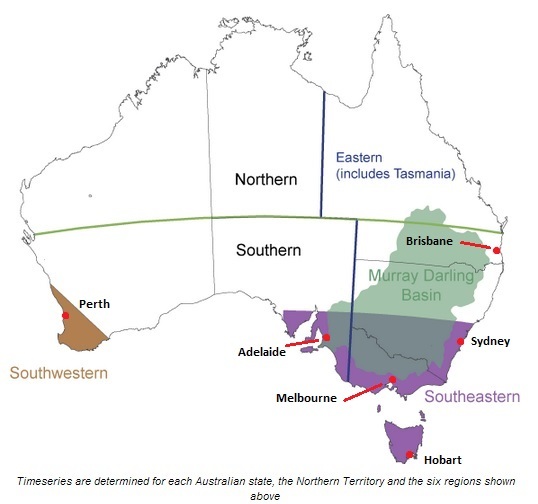 Here are some other ways of showing rainfall for Queensland. 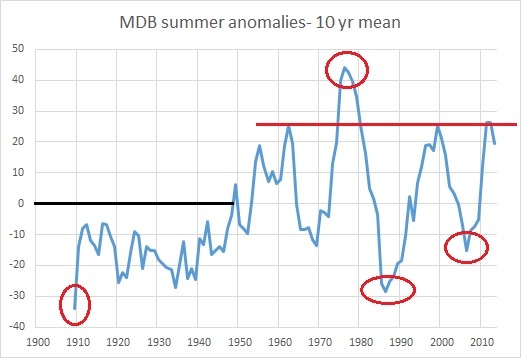 I have shown 2013-2014 and 1929-1935 (the supposed 80 year ago worse drought), and more recent events, for ease of comparison. 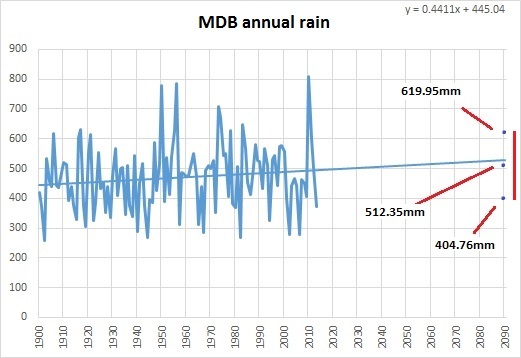 There was nothing unusual about Queensland’s rain in 2014. 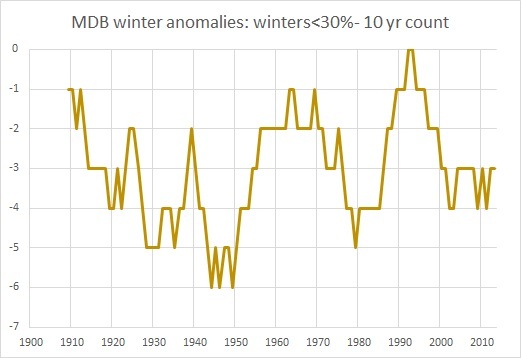 The next graphics are plots of the 12 month counts of 12 month running means of rainfall with below average (bottom 30%), very much below average (bottom 10%), and severe deficiency (bottom 5%) rainfall. 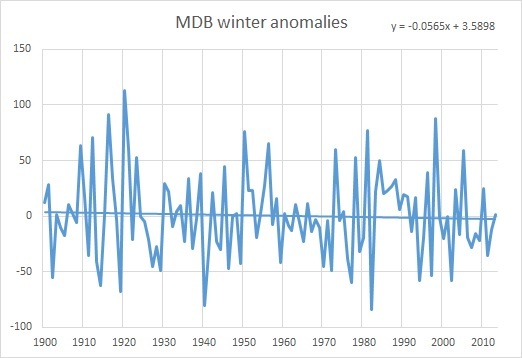 In other words, counts of 12 month periods (January – December, February – January, March – February etc) with rainfall in each category. There have been no episodes of statewide severe rain deficiency since January 2004. And just for information, this map shows the 36 month rainfall deficiencies to December 1902. 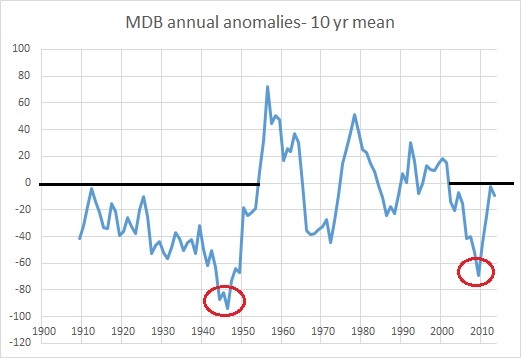 The current drought, bad as it is, barely rates when compared with previous droughts. Perhaps the Bureau is using different data from what is shown on their websites. Perhaps Jeff Sabburg was quoted out of context. Whichever way, the public has been misled- not for the first time, and unfortunately not the last. The Bureau of Meteorology should issue an immediate clarification, and the ABC should issue an immediate apology and correction.